At the very well organized EMOP XI in Cluj-Napoca July 27th, the European Federation of Parasitologists (EFP) General Assembly decided that the next EMOP XII will be arranged in Turku (Åbo in Swedish), Finland, on 20-24 July, 2016. 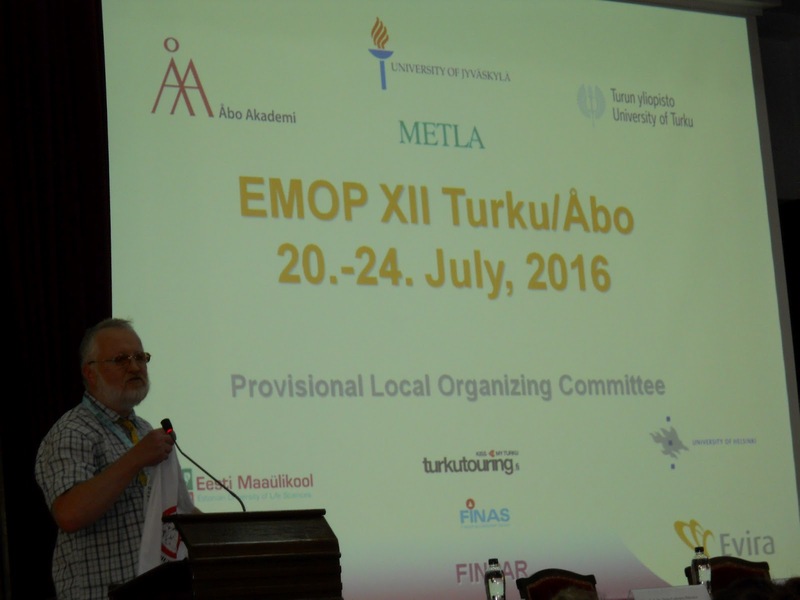 The decision was not a big surprise to members of the Provisional Local Organizing Committee (PLOC), as we had worked hard to convince EFP that Turku was the best imaginable venue for EMOP XII. 1. The Nordic and Baltic countries have a strong and proud history within parasitology; Carl von Linné, the father of modern taxonomy, worked in Uppsala, Sweden; Peter Abildgaard, the founder of Copenhagen vet school, Denmark, was the first to experimentally demonstrate the life cycle of any parasite species; Konstantin I. Skryabin, the famous helminthologist, studied and worked in his early career in Tartu, Estonia. There were two early malariologist namesakes in Turku during the 1700’s, Johan Linder, whose work was later continued in Sweden by Linnaeus, and Johan Haartman, “Father of the Finnish Medical Science”, who found the association between preceding warm summers and malaria, a disease which was common in the Turku area in the 1770s. Even though neither of them understood the real etiology of malaria, Turku could be considered an early parasitological hotspot. Agnes Sjöberg, the first European female veterinarian, studied gastrointestinal helminths of sheep and cattle in western Finland during the 1920s and -30s (Ostertagia lyrata Sjöberg 1926). The big thing in Finnish parasitology was the fish-derived human tapeworm Diphyllobothrium latum, known as the National Parasite of Finland, the Land of a Thousand Lakes (at last count 187,888 lakes). Fifty years ago, the worm was very common in the Finnish population, with regional prevalence reaching over 60 %. Diphyllobothrium work created foundation to fish parasitological studies and Finnish fish parasitology can now be regarded as world leading. Another parasitological cornerstone in Finland nowadays is research on infections in arvicoline rodents. This research has expanded into cestode infections also in other wildlife species. Echinococcus granulosus G 10 (syn. Echinococcus canadensis) was originally described from Finnish reindeer and wolves. There used to be a general misunderstanding, not shared by Europe’s first lady vet, though, that the barren country and cold winters would make Finland an unsuitable habitat for most parasites of veterinary relevance. Lately, it has been revealed that the Finnish wildlife has one of the highest Trichinella spp prevalences found anywhere in the world. 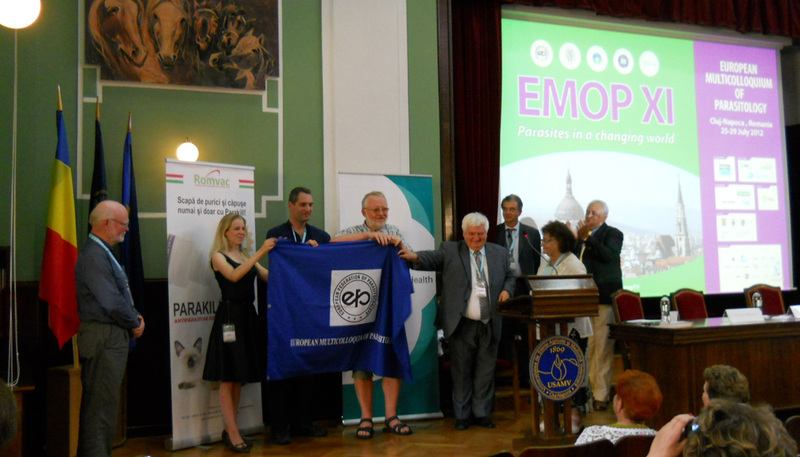 Finnish parasitologists have been members of the Scandinavian Society for Parasitology (SSP), now Scandinavian-Baltic Society of Parasitology (SBSP), since its beginning in 1966 when 34 Nordic parasitologists participated in a symposium, organized in Turku. 2. So far, no EMOP has been organized in the North, the closest being Cambridge, the Hague and Poznan, all located at 52°N. Turku is a medieval city that used to be the capital of Finland, located in the southwestern corner of Finland, at 60°N. The population is about 180,000 inhabitants, which makes it the 5th biggest city in the country. Turku is located by the Baltic Sea and sheltered by the 20,000 islands of the Archipelago Sea, and has a hemiboreal climate. The warmest month of the year is July, with an average temperature of 17 °C. 3. We had planned an exciting provisional program, which will get even more exciting during the next four years. Arctic and Northern parasitology will be on focus, but the aim is to attract parasitologists from all fields and from all over the world in order to make Turku the truly international parasitologist rendezvous. 4. Finland is a Schengen member state. Being in the southwestern corner of Finland, Turku is easy to reach. There are many international flights arriving directly at Turku Airport. There are also bus connections leaving Helsinki-Vantaa airport approximately every hour to Turku. Also two cruise lines operate with regular connections between Stockholm and Turku. The Multicolloquium venue is LOGOMO, the newly opened convention centre in the heart of Turku, a former locomotive garage very close to the railway station. LOGOMO has flexible facilities with conference rooms, ballrooms and restaurants. http://en.logomo.fi/home/meetings_and_congresses. There is a variety of accommodation possibilities, from camping to student dormitories serving as summer hostels via ship hostel to multistar hotels. a. Orienteering. An opportunity to try the sport and to learn how to use a compass and to read a map when you are walking in a forest. Essential for wildlife parasitology. b. Insect collecting for (amateur and pro) entomologists. c. Farm visits to show the region’s primary production. d. Paddling with canoes along the Aura river or in the archipelago. e. Cruising in the archipelago. Several companies organize trips into the archipelago around Turku. g. Fishing trips with fish parasites in mind. Crayfishing. h. A selection of saunas will be available for every participant to visit.